An easy-to-use PDF password remover for Mac users to remove passwords and restriction from encrypted PDF files. Aimersoft PDF Password Remover for Mac is one of the simplest password decrypter that I ever used. Just with an easy click on the Convert button I can get all PDF files editable. Aimersoft PDF Password Remover for Mac is an easy-to-use PDF copying and printing restriction removing tool that compatible with Mac OS X (10.9 Maverick included). Only with a simple click, you can remove Permission Passwords from any encrypted PDF files. 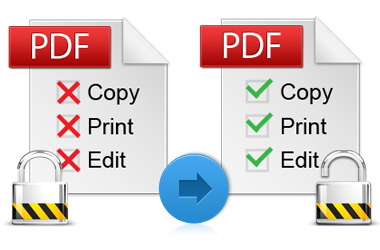 After decrypting the protected PDF files, you can copy, edit or print any PDF files as you like. What’s more, it can decrypt up to 100 PDF files at a time, which makes you PDF reading and editing fast and furious. I went online looking for pdf password removed and glad that my friend shared this link to me and with this pdf password remover, i can finish my work quickly. Thanks again! This pdf password remover is wonderful, really so easy to use. I had doubt at first but I proves me wrong and I think this one deserves a perfect rating. Aimersoft’s products can always fulfill my needs. Simple interface, easy to handle and excellent output! So happy I get Aimersoft PDF Password Remover for Mac. Why I didn’t find Aimersoft Password Remover before? Otherwise it will save more time for me! Using it and everything goes perfect! Gonna edit the PDF files immediately. That’s wonderful when I only need to click a button to remove all permission passwords from authorized PDF files. What a great tools. Printing PDF files now! Want to edit the academic papers that stored as an encrypted PDF files? Trying to print the market analysis report in PDF files protected by Permission Passwords? Looking for ways to copy and quote the famous mathematical theory from PDF files as a supplement for your graduation answering? All this can be done with this PDF Password Remover for Mac. It can help you get rid of any limitations of copying, printing or editing from PDF files that protected by authorized password. Aimersoft PDF is easy to handle. To remove Permission Passwords from encrypted PDF files, all you need to do is a simple click on the Convert button after dragging and dropping them into the main window of this program. No any other technical expertise is needed. 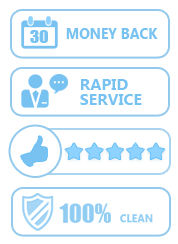 What makes it more outstanding is that it can remove passwords from up to 100 PDF files at a time only with a few seconds. Copying, editing or printing encrypted PDF files is easy as ABC now! Quick password removing process You can remove all restriction in a few seconds. 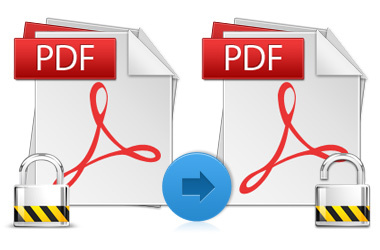 Multiple PDF Decryption Support decrypting multiple PDF files at a time. Supports Mac OS X Mavericks It performs well in Mac OS X, including the latest 10.9 Mavericks.